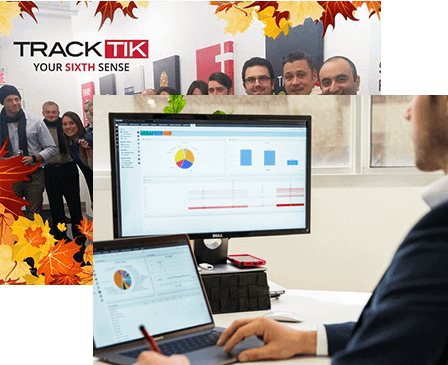 Unlike other guard tour software, TrackTik seamlessly connects mobile guard patrols, incident reporting, guard scheduling, payroll , tracking, and more — saving you time and money while delivering data-rich information in real time so you can always make informed decisions. 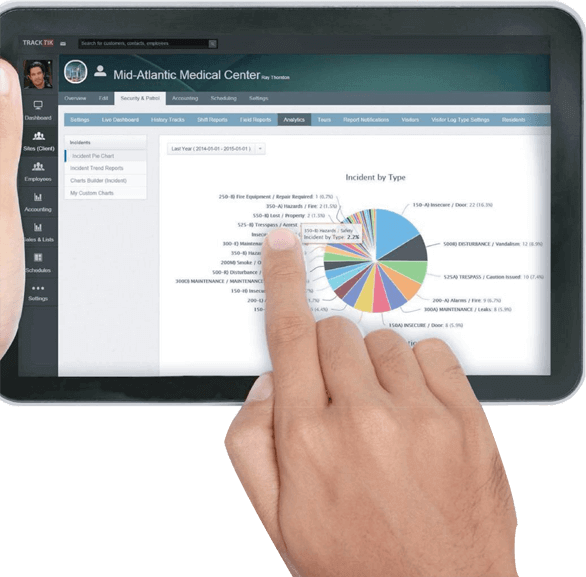 Increase accountability and efficiency of officers in field. Ensure that guards capture all relevant site information with our easy-to-use report builder. Quickly create report templates using an intuitive interface that illustrates exactly what the device will show in the field. With multiple data field entries available reports are adapted to customer needs. TrackTik’s Incident Reporting is built to facilitate any specific reporting needs, as well as drive analytics for all clients. The security personnel that staff your property gather a host of valuable information as they go about their job. The reports we provide enable you to keep tabs on how well we’re meeting our contractual obligations, but can also help you identify risks. Over time, patterns will emerge, making the picture clearer. To get the best value from your data, you need an easy way to organize it and understand it. Module enables you to organize and tap the security infomation gathered in the filed. You can create customized templates for the different types of reports you require us to provide, so that the information is presented in the best way for you to analyze it. You can take that data and use it to assess performance, identify risks and trends, and make planning decisions, such as increasing staffing coverage or improving access control. Increase accountability and enhance field visibility. TrackTik's geo-fencing provides a robust suite of notifications and options that can be tailored to support coverage expectations for any site. The notifications triggers work seamlessly with the virtual barriers of the geo-fence to capture different types of events such as entering, leaving or remaining in defined geo-zones. Create geo-fences for authorized and unauthorized areas and stay in control with real-time SMS and/or email notifications.